I’ve been reading quite a few reviews lately and it’s plain to me that many us if not most really don’t understand what the term “Tactical Light” means. For ME, first and foremost it must be easy to operate under stressful conditions. It needs to work every time without thought as to which “mode” I’m in. If things go really bad and maybe you’re running for your life and you need your light, you probably won’t be able to cycle through modes very well, also you could be making yourself a target if you have to stop and are fumbling through firefly-low-medium-high-turbo-strobe. I’m never going to remember what mode I was in last. Next, I like a strike bezel. (I guess we could argue as to how aggressive it needs to be) If I need to strike, I may not have time to go for a weapon, I may need to use what ever I have in my hand at the time. Finally, I like the light to work well with a firearm whether mounted or not mounted. If it’s mounted, the switch needs to be in the right spot (something like a pressure switch works well for some firearms such as rifles and shot guns, but, not so much for handguns). I’d love to read some of your thoughts. Especially some of you who write the reviews of these so called “Tactical” Lights. 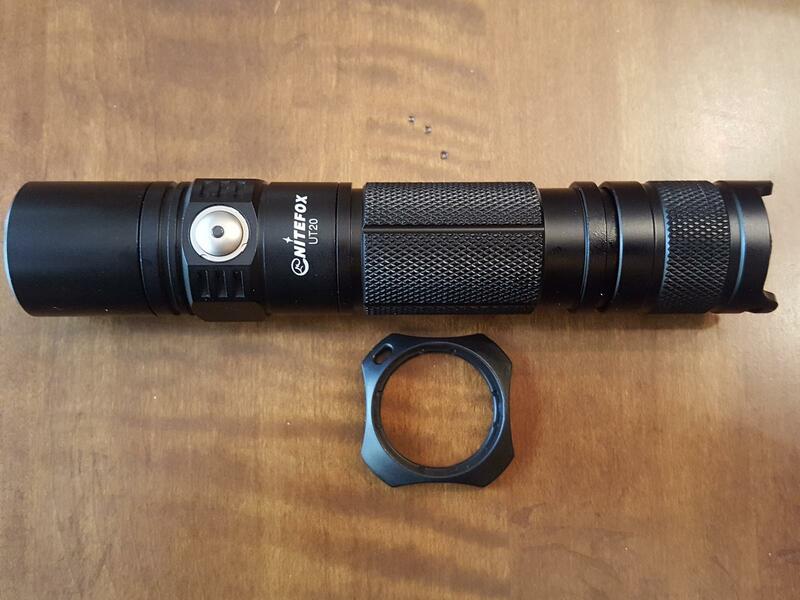 I would say my Thorfire VG10 is the ideal tactical light. robust, good weight. Can flash other firmware or put another driver into it as well if required. (any modes I like then). What I see as tactical is a sturdy and bright forward clicky torch that doesn’t change modes by turning on and off. Pressure switches and cigar grip rings are optional. This NiteFox UT20 I just got seems to have a real nice tac mode. Turn the light on, hold the side switch for three seconds, it flashes twice, then you are in tactical mode. When the light is in tac mode, it’s tail switch only with memory. It has momentary, and you can also do a full click straight to turbo. Modes in both momentary and clicky are high, strobe, low, in that order. Turn the light on, hold the side button down for another 3 seconds, and you go back to normal 4 mode side button mode. Doesn’t have a strike bezel or pressure switch, but I’d have a dedicated light for a rifle anyway. “Tactical” is a term used to convince noobs to buy a flash light they don’t need. Tactical generally refers to forward clickies (momentary), but can be used as a marketing ploy to sell lights to men. Even if I don’t use it much in “tactical” mode, this is a nice light, both in construction and working! I would just add that if you (OP) want to change the mode while using the “momentary ON”, you can also click the side switch (+ the half press on tail switch) and it changes the modes in the order mentioned above (H-Str-L)! You can then full press the tail switch to “lock” the mode you want to use continuously! Very true, too. The “tactical” name is often just a buzzword. And I’d say that’s one reason why this thread even exists. I always mentally substitute the word “tactical” with “tacticool” whenever I read a supposedly “tactical” light is using Eletronic Switch and/or reverse clicky. I think one feature of a real “tactical” (military use) flashlight is the ability to use the forward-click momentary-on to flash signals, like Morse code. In that case, there can only be 1 mode, or at least locked into 1 mode, without accidentally changing levels because of the continuous button pressing. I guess mode selection options can help with that, as long as one of them is 100% only or 50% only. But yeah, for the most part these days, “tactical” is just a buzzword for selling to the mall ninjas out there. And to a lesser degree, it also has something to do with the militarization of society. I sometimes add white and IR output with an optional filter assembly to the checklist. The option of using CR123s or an 18650 would be ideal, too. While I don’t personally use tactical lights to their fullest potential, I presume there are military or LEO’s that can comment here, and the features we casually discuss are probably very important to those in situations where someone is actually shooting at you. .. . just a guess. I’m sure it’s a nice light. During those 3 seconds, does it play the Jeopardy theme music? My question is, what happens if the emergency comes before you get your light into “Tactical” mode? I’m trained to always be in “tactical mode” (speaking of ME not my light). If I get my way the fight will be over before 3 seconds. How “Tactical” is the default setting? Wow, you guys are living in a war zone or what ? Very true, what I hope is that light manufacturers like Olight and others will stop with the silliness and keep making lights like the M1X. I like the extra brightness of the new lights, but not enough to trade my M18 for the M2R. That’s not to say I don’t use other lights, I do. I love some of the bells and whistles, for example, the ramping on my Emisar D4. Isn’t that where WARRIORS belong? You can set the light for Outdoor (ML-L-M-H) or for “Tactical” (H-Str-L). If you want to set it in Tactical mode, when the light is ON on the Outdoor setting, click for +3 seconds on the side click to get it into the Tactical mode. Then, on Tactical, the light always starts with High mode (either through momentary ON, by half press, or by full click to use it continuously). If you make half presses while on Momentary ON, the light will change from High > Strobe > Low > H > Str > L…. . If you are in High (after full click) and you want Strobe, make a full press + fast half or full press from there and the light gets into Strobe. If you are in High (after full click) and you want Low, make a full press + 2 fast half presses from there and the light gets into Low (that you can use continuously after full click). If you are in High and need to turn the flashlight OFF and then need it to get in High again, switch it OFF and after 1 second it will switch ON in High again. If during that 1 second you’ve made a full or half press the light will change the modes to Strobe or Low. The Tactical setting doesn’t have memory, the Outdoor setting has. tail cap is “only” momentary. Twist fully to turn on. I really liked the format surefire offers but sadly no lights ever used such methods for their tailcap. No no no, it at least tells you it will be black and will have wet product shots, ideally in the rain. Oh and the pictures also tell you that you need tactical gloves to hold it. That has to count for something, right? You can set the light for Outdoor (ML-L-M-H) or for “Tactical” (H-Str-L). If you want to set it in Tactical mode, when the light is ON on the Outdoor setting, click for +3 seconds on the side click to get it into the Tactical mode. Clark Kent could change into his tights quicker than that, but, he was bullet proof even while he was still in street clothes, so he was never really under much stress. I guess we could give that type of light it’s own category, we’ll call them Semi-Tactical. Like I said before, I’m sure it’s a great light. But… is a dual purpose light really sound tactically? Not for me, because I’ll screw something up when it really counts. It’s just not strictly speaking, primarily “Tactical”. Maybe that’s just ME or my opinion. 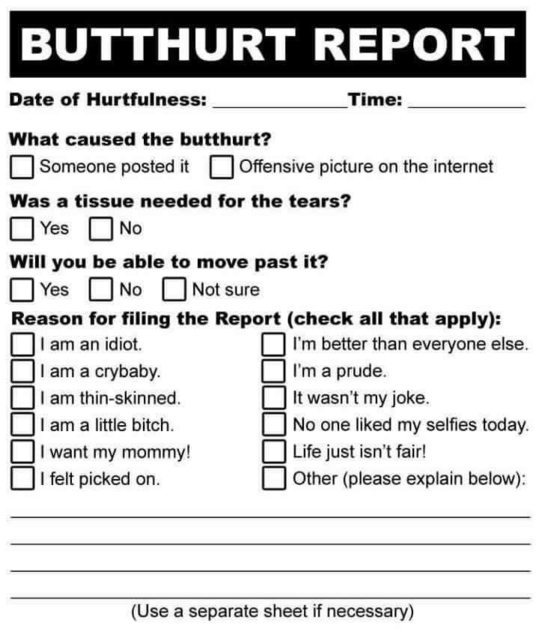 I may even use it as a backup in a pinch. But I’m the kind of guy that uses my cell phone for my moonlight mode. I understand what you say! I just wanted to explain how the light works for you to be aware of it ! My tactical “set” is a cheappo flashlight modded with biscotti firmware from Convoy that I normally use with one of these modes 6 (100%-20%-1%), 11 (100%-20%-Strobe) or 12 (100%), no memory, so they always start on the highest output! But I just use them as complementary lights in specific conditions (like when I need a burst of light and don’t have another one that allows me to get “turbo” in an instant). modes are on and off only tail cap is “only” momentary. Twist fully to turn on. You and me both. I still have my old surefire first model, before the 6P came out. It came with a rechargeable battery and a charger. I’ve kept all the old parts, but I’ve updated the light with a 1000 lumen LED drop-in. I keep it in my range bag for a spare. I rarely almost never carry it anymore. And you’re right they are way over priced, in any country. I have a couple of those myself, I haven’t found them very reliable though, they occasionally change modes from rattling around when I walk. IMO there is a real purpose for a true tactical flashlight, so its not necessarily just a buzzword to sell more flashlights to men, noobs or mall ninjas. Unfortunately lot of manufactures slap the word tactical on lights that really aren’t. 1. To quickly find the switch in total darkness. 2. The light to come on at its brightest level, every time I click it no matter what. So side switches and memory for tactical are out. Forward tail clicky is in. For the tail switch No-modes-No-memory-No BullSh**, just plain on-off direct to turbo every time. I need to be assured of that without even giving it a second thought. Especially for me because I have so many different lights with different UI’s, I need that one I can count on to work as described when the sh** goes down. I can see the desire for strobe and low but for tactical I don’t want those messing with my tail switch function. I think what may have been better would be to have the side switch work in tac mode, but only for strobe and low, and leave the tail for turbo only. This is a good plan except for the reverse ckicky, pretty sure you can mod it to a forward by soldering in a new switch. Once it’s on you can work the side switch for Hi and Low modes, Ramping, Hidden Strobe and SOS. I would prefer it that way, with tail button only for High and side switch for strobe or/and low. Or vice-versa! What light’s does LEO’s use? Maby a new thread? Thanks, I’m going to look into that and give it a try sometime. Yeah I’d like to hear what some are using, and if they’re using something supplemental (or instead of) what their departments issue. I think a lot use Streamlight. Another interesting design of a tactical tail switch that comes to mind is by Klarus with their patented “dual tail switch” with “Straight to strobe” button.